Percona announces the release of Percona Monitoring and Management 1.3.0 on September 26, 2017. 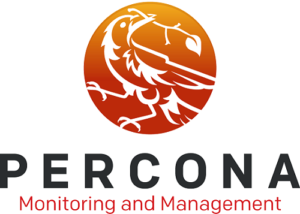 Percona Monitoring and Management 1.3.0 introduces basic support for the MyRocks storage engine. There is a special dashboard in Metrics Monitor that presents the essential metrics of MyRocks as separate graphs. Also, Metrics Monitor graphs now feature on-demand descriptions that remain visible as long as hover over them. Orchestrator is not enabled by default because leaving it in a non-configured state was confusing to users. It is still possible to enable it along with the docker run command. PMM-1290: Basic support for the metrics of the MyRocks storage engine in MySQL via the mysqld-exporter. PMM-1312: Metrics Monitor now features a MyRocks dashboard. PMM-1330: Basic telemetry data are collected from PMM Servers. PMM-685: The EXPLAIN command is now supported in QAN. PMM-1015: QAN should shows all collections from a mongod instance. Make sure that profiling is enabled in MongoDB. PMM-1057: QAN supports all MongoDB query types. PMM-1270: In Metrics Monitor, the dashboard filter displays only MariaDB hosts. PMM-1287: In pmm-admin mongodb:queries is not experimental anymore and the dev-enable option is no longer needed. PMM-1446: In Metrics Monitor, the MySQL Active Threads graph displays data more accurately. PMM-1479: It is now possible to go to QAN directly from Metrics Monitor. PMM-515: Orchestrator is disabled by default. It is possible to enable it when running your docker container. PMM-1298: In QAN, the query abstract could be empty for MySQL hosts for low-ranking queries. This bug is fixed to contain Low Ranking Queries as the value of the query abstract. PMM-1314: The selected time range in QAN could be applied incorrectly. This bug is now fixed. PMM-1398: Prometheus memory was not updated after PMM upgrade. This bug is now fixed. PMM-1427: The CPU Usage/Load graph in the MySQL Overview dashboard was displayed with slightly incorrect dimensions. This bug is now solved. PMM-1472: It could happen that monitoring of queries for MongoDB with replication could not be enabled. PMM-943: InnoDB AHI Usage Graph had incorrect naming and hit ratio computation.